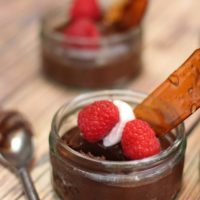 A couple of months before summer I spent a whole Sunday making and photographing no-bake desserts. These were to put together an e-book but as usual time passed and I didn’t get my book done. Do you constantly run out of time?. Is it just me?. Anyway, this was amongst the desserts that I produced. It is made out of a surprising combination of ingredients that actually don’t include sugar, that is if you don’t count that shard of praline on the top. It’s unusual, well for me anyway because I don’t have any kind of sugar avoidance issues nor do I have an absolute need to eat pointedly healthy desserts. Dessert is dessert to me . I totally enjoy them, I think you can go over the top but just don’t make it every day. Well that’s what I think anyway. I would be very upset with out cake. But this week quite a few of the people that I know ( and usually give desserts to) have told me they are detoxing!. ( their words not mine). So, because I am a caring person and I just don’t want them to miss out on anything I took the opportunity to dig out this dessert I made months ago. I hope the fact there is no sugar in it doesn’t make you suspicious, because if I read a statement like that I would feel a little suspicious. 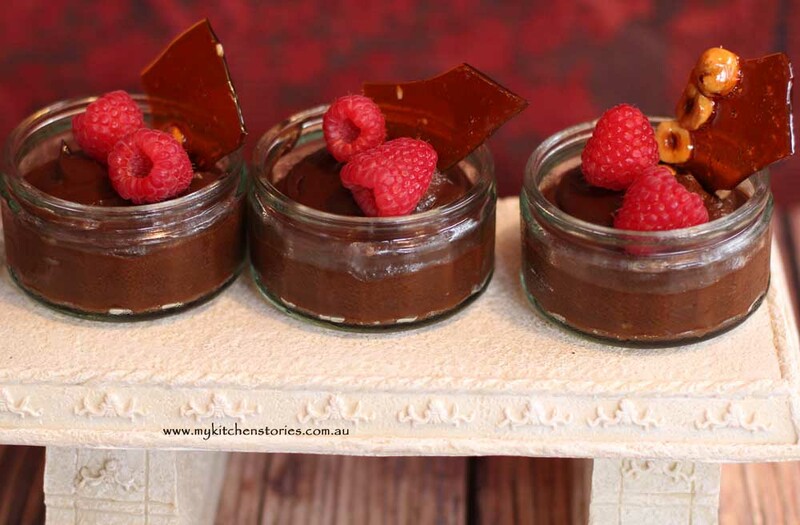 Relax though, it is really the most chocolaty , almost mousse like little pot of guilt free dessert you could ask for. That is why I added some praline. Life needs balance. There are two ways to make this dessert. One has more ingredients than the other, but both are pretty much a healthy dessert. You will be surprised how the ingredients work to make a very satisfying dessert. 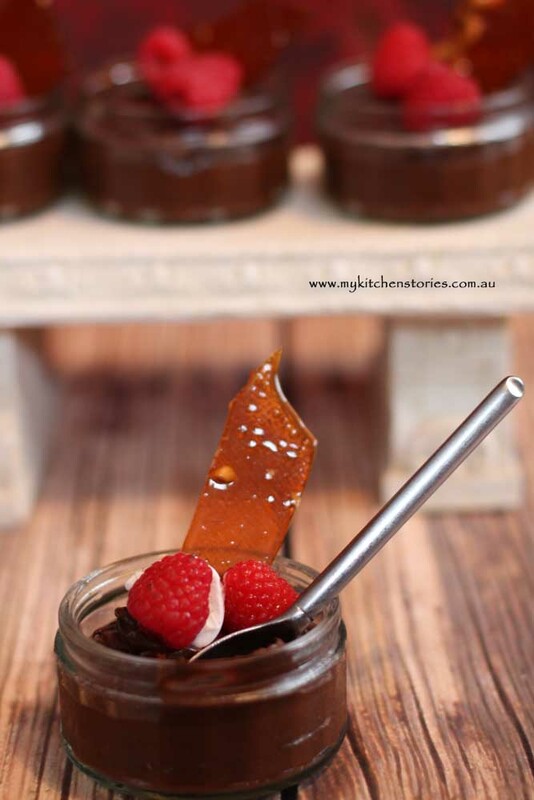 I love them, but I would also like to spread my chocolate onto a beautiful pastry base………..mmm. Ok, so I am not on any kind of detox, mentally or physically. You will need a food processor for this recipe. This will make the ingredients silky smooth and irresistible. Use perfect ripe avocados. Do not use any over ripe or blackened fruit. 40 ml maple syrup or more to taste. 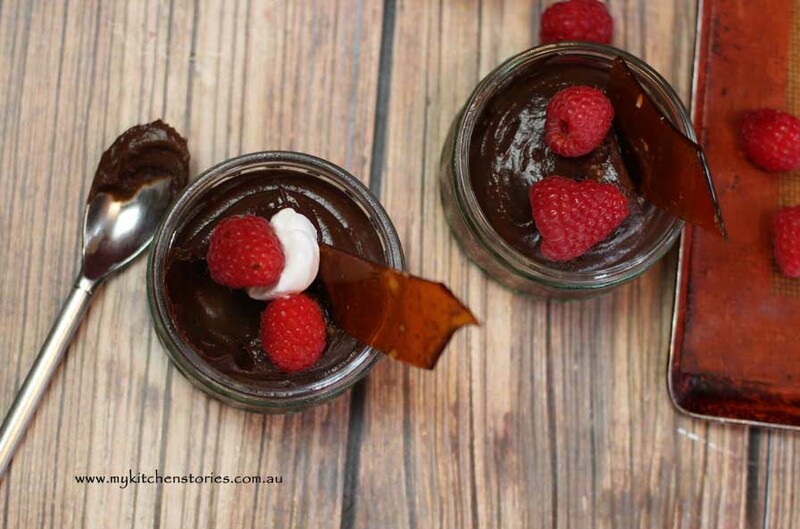 Put the chocolate into a bowl and melt it in the microwave in 1/2 minute bursts, or over a double boiler. Set aside but dont let it get cool. Put the avocado into a food processor and purée till creamy. Open up the lid and add the vanilla and chocolate and 1 Tablespoon of maple syrup ( or honey). Purée till well combined. Taste and add more sweetener if you like. Spoon into 2 x cup sized containers or 3 smaller ones. Do not use a darker chocolate than 70 %.